We all need statistics in our daily lives. However, Statistical literacy in the world is poor. Much of this is due to “stataphobia” which is the fear of statistics and not having experts available to help. In developing countries the problem is great as only 3% of the scientific publications are from developing countries, while 80% of the World's population live there as well as 24.1% of the scientists. 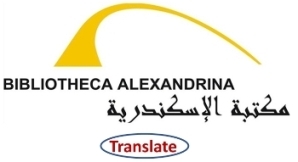 The Bibliotheca Alexandria (Library of Alexandria) has developed a systems to improve learning about Research Methods and to help students and budding young researchers. To accomplish this we have build the largest virtual research methods library and have begun the largest research methods book library in the world. Our mission is to help students learn research methods, to aid with statistics of everyday life in research and publication, with the goal to improve global research methods literacy. This is a free service built by the library and many statistical experts in the world. 1.3. "BA Supercourse Help Desk" You can post questions to be answered by experts using supercourse.helpdesk@bibalex.org address. 2. RMLA Statistical Matrix This is system to help students learn about statistics by having many different lectures on the same statistics topics. 4. BA Serageldin Research Methods Wiki: We build on the classical statistics models above, and are developing a Serageldin Research methods Wiki for 25 areas of science.